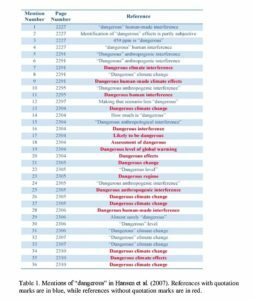 Abstract: Climate scientist James Hansen’s use of we call ‘hinge terms’ – such as ‘dangerous’ and ‘tipping point’- operate to reconfigure argumentation on global warming by pre-scripting headlines of media coverage on scientific findings. Study of this case stands to elucidate an understudied aspect of the global warming controversy, as well as contribute to understanding of how ‘argument operators’ function to relocate arguments into different contexts, with potential implications for argumentation theory. The intellectual roots of American argumentation scholarship intertwine with the tradition of public address criticism, a fact that helps account for the centrality of context in the work of prominent American scholars of argument (e.g., Newman 1961; Zarefsky 1990). The recent launch of the Dutch journal Argumentation in Context, along with a new book series by the same name, provides an occasion to explore how the American approach to criticism of public argument in situated contexts relates to new features of pragma-dialectics that emphasize contextual features of argumentation, such as the concept of “argumentative activity types” (van Eemeren & Houtlosser 2009). Considerable attention has been devoted in pragma-dialectics to understanding how context may “discipline” norms for judging the soundness of arguments that unfold within a particular argumentative activity type (van Eemeren & Houtlosser 2009, p. 15). Left understudied, however, is the question of what happens when an argument shifts from one activity type to another, and further, what moves by interlocutors might spur, or block, such shifts. The specific argument operator that is our concern here is what we call the “hinge term,” and the case of climate scientist James Hansen’s argumentation on global warming provides an apt point of departure for our inquiry. The effect of the hinge term, as one type of argument operator, we contend, is to significantly affect the tenor and trajectory of climate change arguments. In particular, Hansen’s controversial use of hinge terms such as ‘dangerous’ and ‘tipping point’ in his peer reviewed journal articles operate to pivot his argumentation on global warming from the context of professional scientific discourse into the context of general public argument. In what follows, background on the Hansen case (in part two) paves the way for critical analysis of his strategic deployment of hinge terms (in part three). Part four draws lessons from the case study to sketch a speculative taxonomy of argument operators and open discussion about the possible utility of the concept. A concluding section reflects on how our intervention relates to ongoing work on argument context in pragma-dialectics. Widely considered to be one of the world’s leading climate scientists, James Hansen began his research career by exploring how particulate matter in the Earth’s atmosphere refracts light from lunar eclipses (Matsushima, Zink & Hansen 1966). Shortly after completing his Ph.D. thesis at the University of Iowa, which dealt with properties of Venus’s clouds, Hansen realized that many of the same dynamics driving changes in Venus’s atmosphere might also be occurring on Earth. A decade of work from 1978 to 1988 that involved building a complex computer model of the Earth’s atmosphere led to Hansen’s first major public appearances as a scientist. As an official witness before the U.S. Congress during 1988 and 1989, Hansen declared with “99 percent confidence” that human carbon dioxide emissions were causing long-term warming in the Earth’s atmosphere. Hansen’s bombshell congressional testimony provoked intense controversy and earned him the moniker “grandfather of climate change” – a role the scientist was not quick to embrace (McKie 2009). Following his first big splash as a public figure, Hansen (2009) “was firmly resolved to go back to pure science” and leave media appearances to “people who were more articulate and seemed to enjoy the process” (p. xvi). This retreat to the laboratory was consistent with Hansen’s (2007a) perspective on “scientific reticence,” a default rhetorical posture for scientists that involves a tendency to understate claims and emphasize the uncertain, open-ended nature of scientific knowledge (see also Ziman 2000). For nearly a decade following his blockbuster congressional testimony in 1988/1989, Hansen practiced scientific reticence, publishing findings from his work on Global Circulation Models in peer reviewed journals and eschewing opportunities to appear in the media spotlight. Yet that posture changed in 1998, when Hansen agreed to participate in public debates on global warming with climate “contrarians” Patrick Michaels in New York City, and Richard Lindzen in Cambridge, Massachusetts (Mitchell & O’Donnell 2000). As Hansen (2009) explained his motivation for stepping out of the laboratory and into the public square for the first time since his famous congressional testimony, “I wanted to present and publish a table of the key differences between my position regarding global warming and the position of the contrarians” (p. xvi). Messages of danger are part of the stock and trade of newspapers, so Hansen was in effect pre-scripting headlines for general circulation and pivoting toward a different context and rhetorical stance. As a scientific argument became a public argument, the assessment of “facts” would move into a normative environment where questions of “value” and policy response would predictably arise. This netted Hansen a broader audience, but it complicated his voice as a scientist. Was he now acting as an advocate? This candid reflection laid bare for Hansen a fundamental dilemma facing scientists working on politically charged topics. The tradition of scientific reticence counsels restraint, yet the ethical calling to bear witness may demand more strident rhetoric. Ultimately, Hansen and colleagues settled on the terms ‘dangerous’ and ‘tipping point’ as red flags to heighten salience of the issue. While Hansen personally deployed such terms increasingly during public appearances, he also worked with his co-authors to pepper their scientific papers with these terms. For example, the previously mentioned Atmospheric Chemistry & Physics paper (Hansen et al. 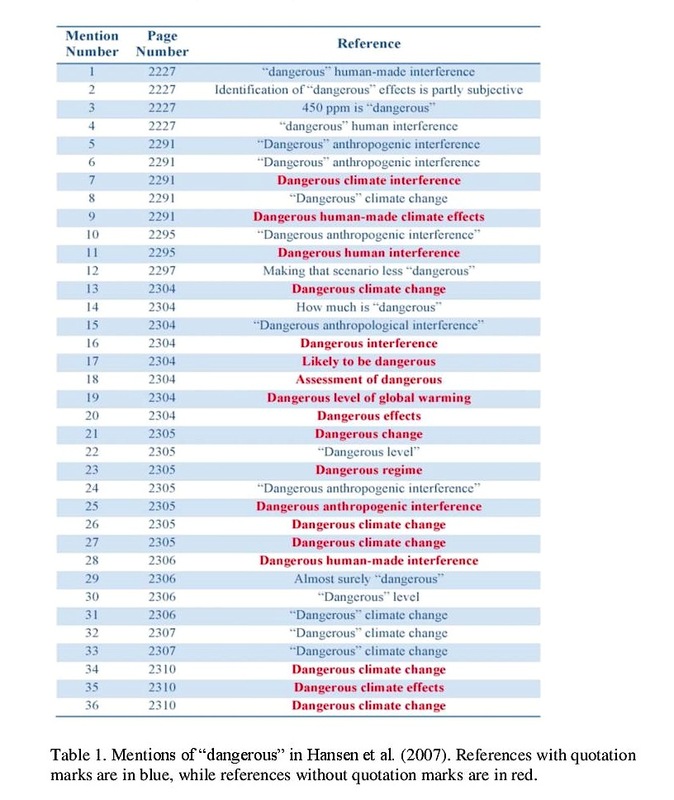 2007) features 36 mentions of ‘dangerous’ in various contexts (see Table 1). Table 1. Mentions of “dangerous” in Hansen et al. (2007). References with quotation marks are in blue, while references without quotation marks are in red. Some of this pushback may have stemmed from the sheer number of ‘dangerous’ references in the paper. As Jeanne Fahnestock (1999, pp. 160-172) observes, strategic repetition of key terms (characterized by the classical rhetorical figure of ploche) can heighten the impact of scientific argumentation on audiences. Fahnestock points to Charles Darwin’s deployment of “subtler repetitions that declare identity in reference or the interconnections among phenomena” to illustrate how ploche can operate to heighten, in the terminology of Perelman and Olbrechts-Tyteca (1969, p. 144), a scientific argument’s ‘presence.’ Just as Darwin eschewed mere repetition, instead weaving different meanings through recurrent references, Hansen and colleagues deploy ‘dangerous’ in an array of different usages, in effect producing a pedagogy of dangerousness from which journalists could learn. Previous scholarship has explored some of the rhetorical entailments associated with Hansen’s use of terms such as ‘tipping point.’ For example, Russill (2008, 2010) notes that in the global warming controversy, ‘tipping point’ tends to invoke the interests of future generations, as irreversible, runaway climate change would be most harmful to those not yet born. Yet as Figure 1 illustrates, concepts from the rhetorical tradition furnish a set of transformations that point to ways that Hansen’s hinge term strategy may carry even broader implications. Figure 1. Rhetorical concepts illustrate ways that the hinge term ‘dangerous’ enables discourse to swing from one activity, genre, stasis or stance to another. * Jump to an alternative context. The first two of these may serve as bridges from one context to another, whereas the third makes a leap. The response to Hansen seems to depend in large part on which of these his readers are sensing. Being both a scientist and a citizen, Hansen might see his repeated invocation of the term ‘dangerous’ as a way of nudging his audience into a wider context that encompasses science but also the field of citizen action. While we do not reject such a characterization, our analysis picks up on what can be seen as a strategic pivot from one generic context, with its usual strictures and enablements to another. His critics seem inclined to see Hansen’s performance as a kind of abandonment – jumping ship, so to speak – by violating constraints of a professional context in order to play out the argument in a different context. They would no doubt see that characterization underlined by Hansen’s subsequent activism. In response, Hansen might point to the fact that the term ‘dangerous’ had been utilized previously in major scientific reports on climate change, and that ‘tipping point’ language was justified because it “conveys aspects of climate change that have been an impediment to public appreciation of the urgency of addressing human-caused global warning” (Hansen et al. 2007b, p. S7351). All of these considerations come to bear as we interrogate the kind of speech acts Hansen was deploying. With one foot in the lab and one foot in the public media, it is quite possible that Hansen could be celebrated as exemplary of the “third culture” figure, who manages to speak persuasively across the boundaries between fields of expertise and contexts of public argument, contributing to a culture that consists of both experts and non-experts, and constituted in such a way that effective participation requires accepting the legitimacy of both empirical and interpretive methods (Lyne 2010). In that case we would have to see him in a rather different light than some of his critics have. He would be seen as crafting a distinctive voice that bridges, or “nudges” toward a more encompassing audience. * Locution: What are you saying? * Illocution: What are you doing? * Perlocution: What effect are you having? As we move down the list, each function presupposes what is listed above. That is, someone says in order to do in order to have some kind of effect. The last category, perlocution, can be variously understood as an actual consequence of an illocution, as an intended consequence of an illocution, or as a rationally foreseeable consequence of an illocution. We do not wish to exclude any of these from our consideration of ‘argumentative effects,’ that is, of the way speech acts influence ongoing or subsequent arguments or argumentative moves. Thus, the purview of this analysis would be possible interactions that can be taken as specifically relevant to an argument, but it would not include any other kind of effect (e.g. hurt feelings, anger, delight). In reference to the “hinging” we are looking at here, the hinge effect is performed at all three levels of the speech act. In saying that conditions are dangerous, Hansen is making a shift in the argumentative context, with the effect that a number of entanglements – ranging from genre relevance to contestation of appropriateness – begin to work at once. But the nature of the shift is such that it can be interpreted in several different and contestable ways (see Figure 2). Figure 2. Hinge term dynamics. Hinge terms enable arguments to swing between genres and stases, with associated shifts in the arguer’s rhetorical stance, artifact produced and activity type. Returning to a generic reconstruction of the diagram presented in the previous section, we see five categories that that appear to move in unison. This, we believe, is why the instance of deploying a hinge term particularly invites attention. Understood as a speech act, Hansen’s repeated references to danger would reasonably be taken as a warning. And whether by intention or not, the illocutionary act of warning within one context has the perlocutionary consequence of pivoting the argument into another discourse frame. As the warning of danger breaks out of the confines of the presumptive scientific stasis, it produces a secondary perlocutionary effect of moving from “fact” to “value.” Moreover, the shift of stases has a gravitational pull that brings changes within each of the other categories (Walsh 2010). The text is now recontextualized as public argument, where it stirs controversy, and signals differences of genre, stasis, stance, and artifact. To the consternation of many, the line between science and public controversy begins to dissolve. We have argued that the hinge term, in its functional sense, inflects toward, or toggles between, different registers of argument. What it “means,” in the most robust sense, is therefore what it does when affirmed or invoked, that is, what it does when introduced by a speech act. What it does to the argument is something more consequential than a mere figure of speech. In this case, for instance, the terms “danger” and “tipping point” cannot be sequestered as mere metaphors. Rather than non-literal flourishes, the introduction of such hinge terms into an argument is a speech act (or a set of speech acts) with the capacity to move arguments in a different direction, specifically toward different cognitive, affective, cultural, semiotic, or praxial registers. This can be done either as a deliberate strategy or an unintended consequence of the introduction of the term, and its consequences can be both foreseen and unforeseen. One of the consequences in this case was an inflection toward arguments about the objective limits of science and accusations that these terms had taken Hansen into a “subjective” frame, where their purchase as scientific claims were questioned. In describing argument operators specific to this case, we have introduced strategies of context-shifting. Beyond the hinge term and related context shifters, this case leads us to anticipate other argument operators that have different modal functions in argument. Hansen was criticized for acting as an advocate. If he was acting as an advocate, at what point did that voice emerge? Was it when he dropped the quotation marks when using the word “dangerous”? Or were there gradations of his shift, perhaps subtly indicated, and when he engaged in a debate before academics not in his field? Depending on how that question is answered, his arguments are likely to be judged by one set of norms or by another. In argumentation literature, we observe that arguments are generally aligned with the intention of the arguer, and it is assumed that the arguer has a unitary voice, such that that person could be held responsible for inconsistencies or implications of the argument they are making. Moreover, we assume that the author’s intentions are framed with a particular normative context in mind. This would be the standard case of having a “voice” in an argument. It is the arguer with the unitary voice that is typically assumed in philosophical discussions of rationality. The leading advocate of philosophical “inferentialism,” Robert Brandom, speaks of personal accountability in terms of “scorekeeping,” whereby participants in an argument constantly track and update the commitments and authorizations made by either party in order to make explicit the rational purport of any utterance (Brandom 2000). This is a dynamic way of thinking about argument as process, because it depends on the relationship between present and past assertions rather than on constructs in isolation. And this is a useful way of thinking about the trail of assertions as they chain out. But in view of the shifts of context, voice, and other functions of argument operators that we have been referencing, one might well ask if it is pragmatic to think of arguments only in terms of verbalized propositions by philosophically focused interlocutors. To understand the complexity of context and its relationship to argument, it might be useful to consider whether there are a number of different scoreboards and ways of scoring that are the very things at stake in many arguments (Lyne 2013). Public address scholars, who are observant of the relationship between propositional and non-propositional features of public argument, as well as the various ways that that rational arguments may play out, have something to bring to the table in laying out argument operators. 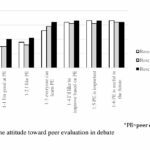 We know arguers modulate the voice they are using to advance an argument, sometimes by “ventriloquizing” the positions of others, or laying out the position of what another would say were they in top form. This kind of voicing is perhaps most clearly apparent when a surrogate stands in for a political candidate in a debate, where the aspiration would be to offer up the arguments the candidate would or could make. Somewhat differently, a defense attorney makes the best arguments possible, not because he or she necessarily believes them, but because they are thought to support the best case that might be made in defense of the client. Other arguments, we well know, are made “for the sake of argument,” without binding the hands of the arguer. We might well ask what are the ways of shifting in an out of any given frame of time-binding accountability. The formal framing of a staged debate or of a courtroom trial generally eliminates any ambiguity about whether the arguments presented should be seen as isomorphic with those that the arguer would be personally and ethically accountable for making. In other cases ambiguity or confusion can arise, as when arguers shift between or among voices. So it would be worthwhile to pay attention to indicators of voice shiftings. These might be found in tonal changes, changes of body language, or stylistic changes – factors that have been of interest to students of public address but have generally been backgrounded in pragmatic analysis of argument. We have seen from pragma-dialetics that arguments play out differently in different types of argumentative activities. Here we are suggesting that even within a given argument activity a shifting of voice can change the function of an argument. So in addition to context-shifters, other argument operators may need to be fleshed out. This is among the reasons we believe that the juncture between public address studies and argument studies may enrich both. i. We note that the term “operators,” as defined by computer programming languages, may show some elemental similarities to the ones we are describing, in that they allow manipulations of “semantic” as well as “syntactic” properties. At present, however, the language of “genre,” “stance,” “audience,” and so on, seem reserved for natural languages used in non-computational contexts. This is not to say that these could not be represented in binary code. ii. Here we highlight “expansion” rather than shifts, but these are not always distinct, as Burke (1945) points out in commentary on “scope and reduction” (pp. 59-117). Booth, W. C. (1963). The rhetorical stance. College Composition and Communication, 14, 139-145. Brandom, R. (2000). Making it explicit: Reasoning, representation, and discursive commitment. Cambridge, MA: Harvard University Press. Eemeren, F. H. van & Grootendorst, R. (1984). Speech acts in argumentative discussions. Dordrecht: Foris. Eemeren, F. H van & Houtlosser, P. (2009). Strategic maneuvering: Examining argumentation in context. In F. H. van Eemeren & P. Houtlosser (Eds. ), Examining Argumentation in Context (pp. 1-24). Amsterdam: John Benjamins. Eilperin, J. & Mufson, S. (2013). Activists arrested at White House protesting Keystone pipeline. Washington Post, February 13. Fahnestock, J. (1999). Rhetorical figures in science. Oxford: Oxford University Press. Fahnestock, J. (1998). Accommodating science: The rhetorical life of scientific facts. Written Communication, 15, 330-350. Hansen, J. E. (2009). Storms of my grandchildren. New York: Bloomsbury Books. Hansen, J. E. (2007a). Scientific reticence and sea level rise. Environmental Research Letters, 2, 1-6. Hansen, J. E. (2007b). Climate catastrophe. New Scientist, July 28, 30-34. Hansen, J. E., et al. (2007a). Dangerous human made interference with climate: A GISS modelE study. Atmospheric Chemistry & Physics, 7, 2287-2312. Hansen, J. E., et al. (2007b). Interactive comment on ‘Dangerous human-made interference with climate: A GISS modelE study,’ Atmospheric Chemistry and Physics Discussions, 6, S7350-S7354. Holmes, R. (1997). Genre analysis and the social sciences: An investigation of the structure of research article discussion sections in three disciplines. English for Specific Purposes, 16, 321-337. Lyne, J. (2013). Having a whole battery of concepts: Thinking rhetorically about the norms of reason. Social Epistemology Review and Reply Collective, 2(1), 143-148. Lyne, J. (2010). Rhetoric and the third culture: scientists as arguers and critics. In M. J. Porrovecchio (Ed. ), Reengaging the Prospect of Rhetoric (pp. 113-132). New York: Routledge. Matsushima, S., Zink, J.R., & Hansen, J.E. (1966). Atmospheric extinction by dust particles as determined from three-color photometry of the lunar eclipse of 19 December 1964. The Astronomical Journal, 71, 103-110. Mitchell, G.R. & O’Donnell, T. (2000). Full transcript of inaugural AARST science policy forum, New York Hilton, Friday 20 November 1998, 7-9 pm. Social Epistemology 14, 131-180. McKie, R. (2009). ‘We have only four years left to act on climate change – America has to lead. Observer (London), January 17. Newman, R. P. (1961). Recognition of Communist China: A study in argument. New York: Macmillan. Peacock, M. (2002). Communicative moves in the discussion section of research articles. System, 30, 479-497. Perelman, C. & Olbrechts-Tyteca, L. (1969). The new rhetoric: A treatise on argumentation. J. Wilkinson and P. Weaver (Trans.). Notre Dame: University of Notre Dame Press. PR Newswire (2007). Research finds that Earth’s climate is approaching ‘dangerous’ point. May 31. Ruiying, Y. & Allison, D. (2003). Research articles in applied linguistics: Moving from results to conclusions. English for Specific Purposes, 22, 365-385. Russill, C. (2010). Truth and opinion in climate change discourse: The Gore-Hansen disagreement. Public Understanding of Science, 20, 796-809. Russill, C. (2008). Tipping point forewarnings in climate change communication: Some implications of an emerging trend. Environmental Communication, 2, 133-153. Space Daily (2007). NASA research suggests Earth climate approaching dangerous point. May 31. Spotts, P. N. (2007). Earth nears tipping point on climate change. Christian Science Monitor, May 30, 2. Walton, D. (2003). Relevance in argumentation. London: Routledge. Zarefsky, D. (1990). Lincoln, Douglas, and slavery: In the crucible of public debate. Chicago: University of Chicago Press. Ziman, J. (2000). Are debatable scientific questions debatable? Social Epistemology, 14, 187-199.